The #EKaniKaPilaKakou Challenge was posed to Hawai'i residents holed up in their homes awaiting the arrival of Hurricane Lane. The social media challenge called on everyone to sing a song honoring their hometown or current residence and upload it to social media. Parts of the state are still recovering from Hurricane Lane, which is now a tropical storm. Hawai‘i residents spent several days holed up in their homes anticipating the hurricane’s arrival. As HPR’s Ku‘uwehi Hiraishi reports, some residents found a creative way to wait out the storm. There’s nothing like an impromptu jam session or kanikapila as we like to say here in Hawai’i to help everyone pass the time. As the state waited for Hurricane Lane to make landfall, residents from across the island chain uploaded videos to social media in what’s being dubbed the Kani Ka Pila Challenge. Singer and Songwriter Ānuenue Pūnua posed the challenge on her Facebook page. “Honestly, there was nothing to do at home after we cooked and cleaned. I got my ukulele, called my daughter, and said let’s go,” says Pūnua. She challenged everyone to sing a song of their birthplace and upload it to social media. The response she got was overwhelming. Families, children, professional singers and amateurs all joined in the fun. “I think it inspired people to bring whatever they had you know,” says Pūnua. 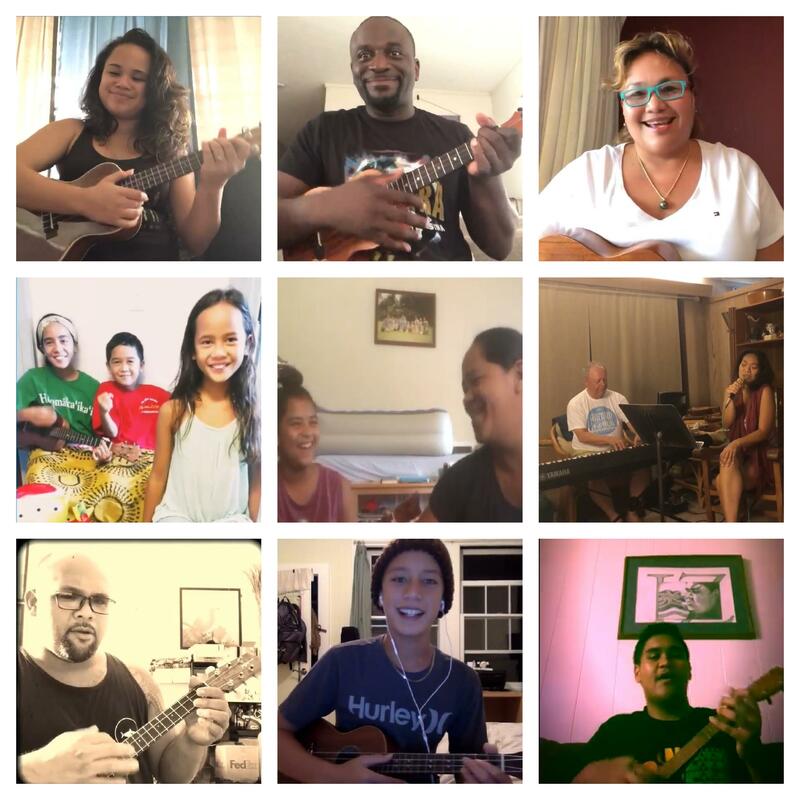 Pūnua says even though it took something like an impending hurricane to force everyone to stop and share music with family and friends, she hopes the Kani Ka Pila Challenge played a small role in bringing music back into our homes. The dangers of a powerful hurricane making landfall in Hawaiʻi are real for everyone. 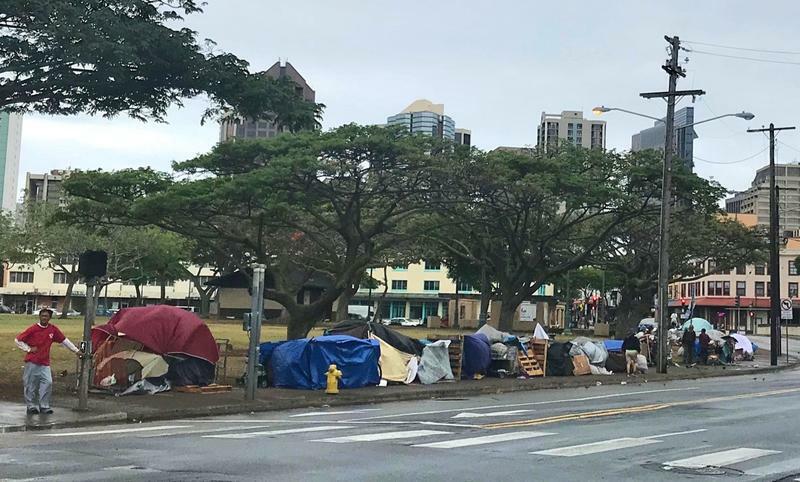 But the state’s homeless community is left especially vulnerable to the uncertainties of Hurricane Lane as it makes its final approach toward the islands. HPR’s Ku’uwehi Hiraishi reports. Across the islands, residents and visitors are dealing with the effects of Hurricane Lane. Fire and rain have forced evacuations across the Big Island and Maui overnight. Tourists are scrambling as airlines have canceled some flights. There are pockets of power outages across various islands due to the gusty winds even though the Hurricane has been downgraded to a Category 2 storm. Hurricane Lane’s advance has slowed to 2 miles an hour. 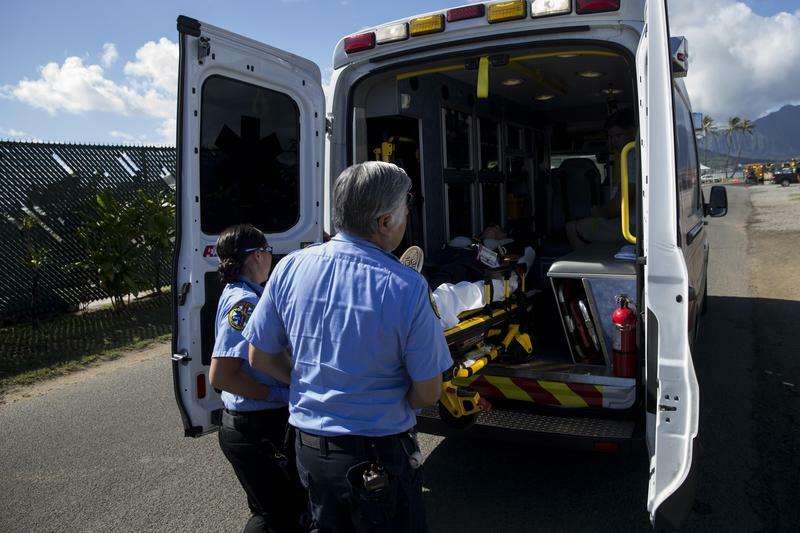 How do sick and injured people get help during a storm? It’s a matter of life and death for some patients riding out the storm in hospitals, long-term care facilities or at home. Maintaining the healthcare system during an emergency is the job of Chris Crabtree. He’s the Director of Hawaii Healthcare Emergency Management. All tropical storm warnings and watches been canceled for the state.